Give the Gift of a Silver Membership. Advanced information ahead of general booking. Priority booking for ENO operas, musicals and selected other performances at the London Coliseum. Access to ticket discounts of up to 25% during priority booking plus exclusive access to Multi-Buy Packages available for Balcony ticket. No booking fees during priority booking. Discounts on programmes, ice cream and merchandise. No exchange fees on ENO operas. 10% discount at London Coliseum bars. Inside ENO magazine three times a year. Opportunity to book two tickets for each dress rehearsal. Opportunity to book two tickets to Friends Events. Invitations to explore and further support ENO’s work. Monthly e-news bulletin. You will receive a Gift Membership for you to give to your loved one. 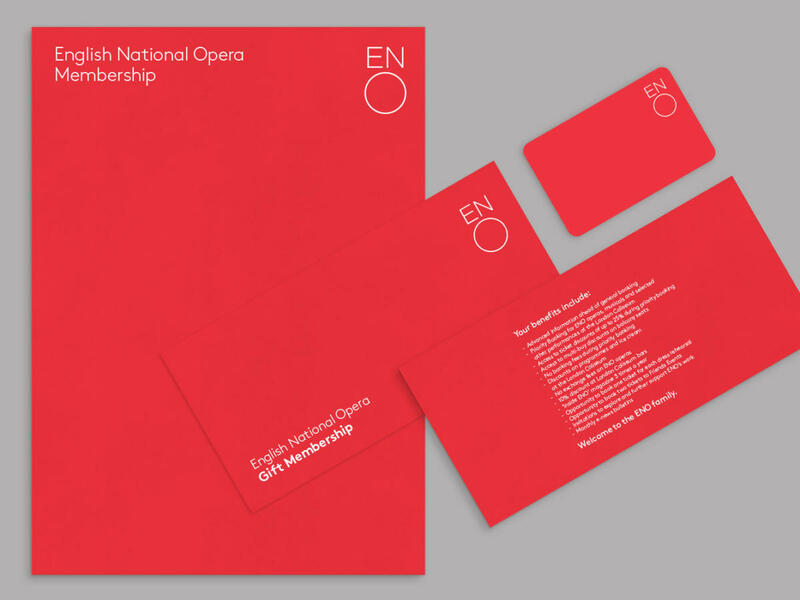 They will need to activate the gift voucher to start their ENO membership and will then receive their full welcome pack and membership card. Free if collected at our theatre shop. Open on performance days from 90 minutes before curtain up. Best option if you are coming to a performance.